WHO’S STILL STANDING?- CASH CAB to Major Cash, Host Announced! At the start of the game, there is one main competitor and 10 other contestants. The main player chooses one of the 10 contestants to go head-to-head with in a trivia battle for a high-stakes pot of up to $1,000,000. The person who answers the question incorrectly is dropped through a trap door. The game continues until one player is left standing. 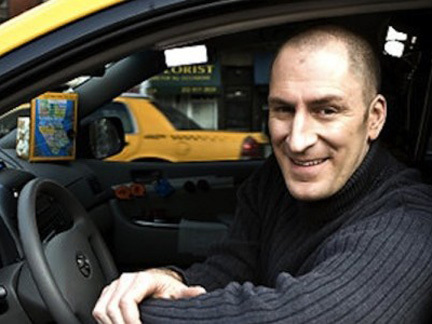 Ben Bailey is the host of the highly successful shows “Cash Cab” and “Cash Cab: After Dark” on Discovery Channel. A Daytime Emmy Award winner for “Cash Cab,” (“Outstanding Game Show Host”), Bailey just recently received another nomination for his work on the show for this past season. The show has also received four Daytime Emmy nominations for Outstanding Game/Audience Participation Show. Bailey’s one-hour special “Road Rage” premiered on Comedy Central on May 21, 2011. Bailey got his unlikely start as a stand-up comedian when he was mistaken for a comic in the green room of The Comedy Store in Los Angeles, where he was hired to answer the phones.